Kamarina in Sicily. ca. 410 to 405 BC. AE Trias. Denomination : AE Tetras. Mint : Kamarina. Date : 410 to 405 BC. Size : 14.5 x 15.5 mm. Weight: 3.31 grams. Obverse : Head of Athena left, wearing a crested helmet. 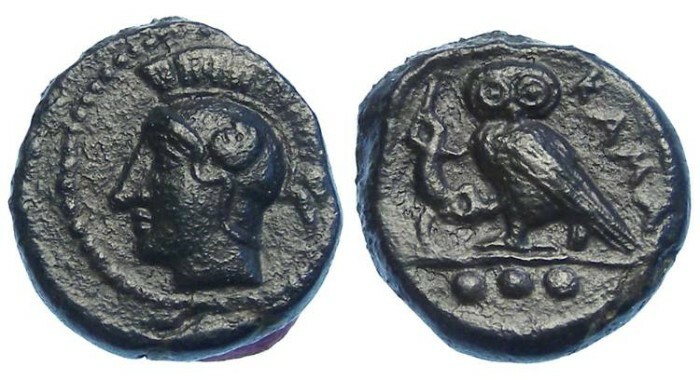 Reverse : Owl standing left with head forward, holding lizard, with KAMA to the right.